The Adelante Movement: Mastery is Magical! He is Latino and was there with his dad. 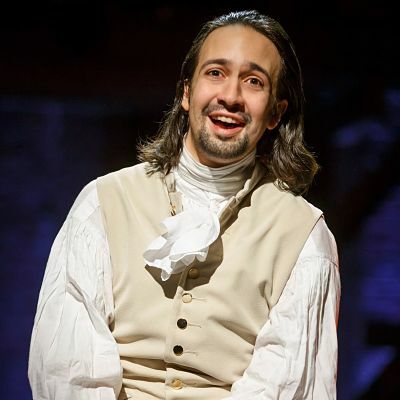 Lin-Manuel, his dad, and I spoke about how he had been writing music since he was a little boy, and how he had just spent six years writing a musical about Alexander Hamilton, which he felt was his mission (while acting in guest spots in order to make money). Hamilton was an immigrant who became one of the founding fathers of the United States. He was the first Secretary of the Treasury who designed the financial system of this country. That night, I had the feeling in my stomach that I had met someone special. I had a feeling big things were coming his way, very big things. Lisa told me, “His play is about to open on Broadway. No one in this room realizes how big he is going to be. He is the only person who has written a play, all the music, all the lyrics, and he is starring in the play too. He is going to be a major star!”. Then, I happened to be in New York a couple of weeks ago with my fifteen year old son. I saw that the play “Hamilton" was opening on Broadway and all the tickets were sold out, even the broker tickets at double and triple the price were sold out. I was working all day and on the second night there, on a lark, I told my son, “Let’s go to the theater and let’s see if by chance someone cancels”. My son said, ”Mom, you only care this much because he’s a Latino.“ and I said, ”Yes you are right. This is a very big deal for anyone, but particularly for a Latino.” I then explained to him how many years Lin-Manual had worked on this musical and how life is about mission, mastery, and patience. I am sure my son rolled his eyes several times. At 8:00 pm, the 22 people waiting for cancellations alongside us left and just as we were turning around to leave as well, the older theater manager came out with two tickets in hand and said his friend had just canceled and we were in luck. Yes we were. My son and I sat in the middle of the orchestra section, with two tickets that I paid face value for, mesmerized by the brilliant words and the magic of the ensemble cast. Without saying another word, my son got it! This was a wow moment! My son also understood the importance of supporting another Latino. We were experiencing the feeling you get when you witness mastery, and mastery from your own community - it doesn’t get any better than that! We were proud to be Latinos in that moment. Two days later, President Obama flew to New York and took his daughters to the musical. Ladies, we are all capable of our own mastery. Through our pain, our skills, our hard work, having a big dream, and not giving up – there is greatness in all of us. This is our time, our moment and I want to keep encouraging you because it is worth it!!! We are not all playwrights or actors, but we are the architects of our own destiny and we are all stars in our own right. We need to support each other in our pursuit of mastery; show up, buy from each other, and help make each other become more successful! Let’s stay on the path to our own financial freedom, our own big dreams, and our own chips! Let’s finish summer school together. I am passionate about helping you find your own mastery!! !